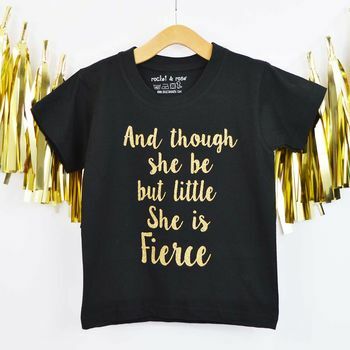 An inspirational quote slogan 'Though She be but Little She is Fierce' printed T-Shirt in a choice of t-shirt & print colours. A perfect top for your little Valentine Heart Breaker. Not just for Valentine's Day, this is an everyday wear top which features a fun slogan print which is in a range of colour choices. 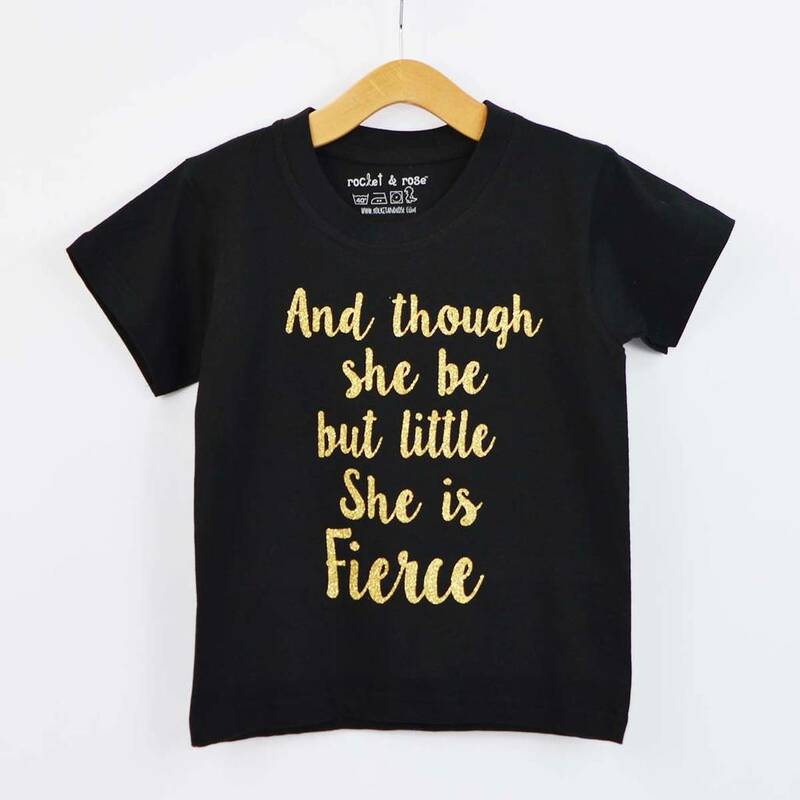 The Little but Fierce T-Shirt is available as a short sleeved t-shirt in a range of different colours. So you can choose the design to match your little one's wardrobe! The crew neck t-shirts are made from a 100% Cotton with a vinyl high pressure print. 0-6 month 21.5", 6-12 months 22", 1-2 years 25", 2-3 years 25.5", 3-4 years 26", 5-6 years 28", 7-8 years 30" & 9-11 years 32". This product is dispatched to you by Rocket & Rose.